For the first batch of work in progress shows it's been me trying out different bits of material and shuffling the order of things around to find the most pleasing flow and so on. It's a part of the process I really enjoy. And the shows have all been fun. Last night a whole new ingredient was stirred into the mix, in the shape of Nick Doody, who's joining me on the tour. Nick's a brilliant comic. I'm a huge fan. He was one of the first people I turned to when the first series of Modern Life Is Goodish was commissioned. You'll see his name on the credits of every show. On a show like that, it's no use working with people who think exactly like you - you're already doing that for yourself, it's about finding people who think differently, but who have ideas that can work alongside your own. So it's no surprise that Nick's material blends nicely with my own. And it means that last night was the first show where all the ingredients have been in place. It didn't really feel like a warm up show. Which is the point of the process, really. For the final work-in-progress shows to display enough progress. For the finished article to emerge before the deadline. Not that things won't change some more. The more familiar I get with things, the better some of it will be. There'll always be tweaks I want to make. But the show is now, I think, the right things happening in the right order. 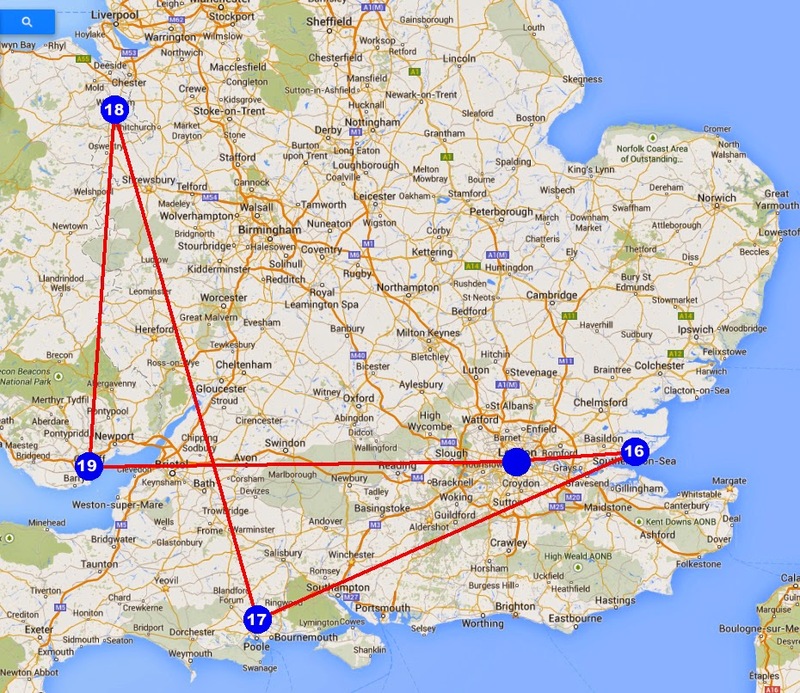 It doesn't officially kick off until Friday, but in essence, we've already started the tour. 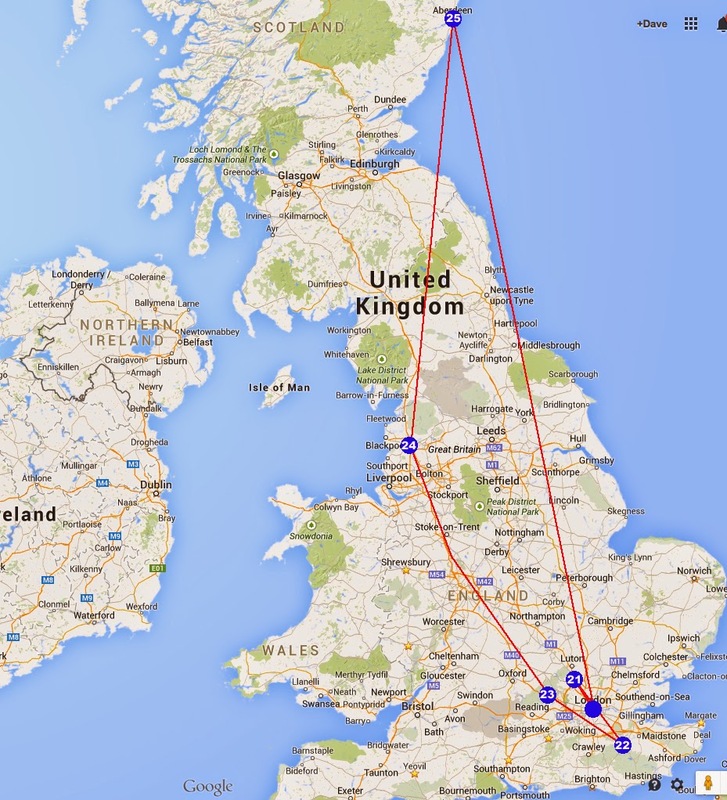 It's just that tonight - (Wolverhampton again) and tomorrow (Tring) the venues are a little smaller. I think about 20 of the 50 dates are sold out now. (Apologies if my website isn't completely up to date on this.) I get a lot of people asking me for information about whether there will be extra tickets here or there... the truth is, I only know what a venue tells me. I'd always recommend contacting a venue direct. Call them. Speaking to someone is always going to be more informative than just looking at what the website says. 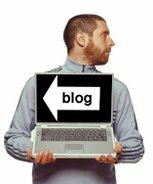 I wrote before about how the tour, book and TV show all arriving at the same time was more down to coincidence than any Machiavellian scheming on my part. 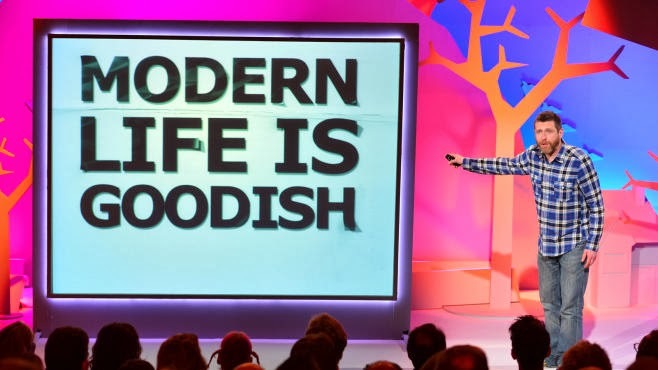 The timing has led a lot of people to ask whether the tour show contains material that will also be in the current series of Modern Life Is Goodish. It doesn't. It's a whole new show. In any case. I hope you can join us. It's more fun when you do. And if not you, someone like you. Oh Neil, Did You Have To? As I type this, there is one day left to watch the third episode of Modern Life Is Goodish online. 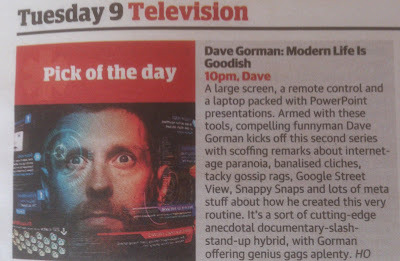 It's repeated tonight at 8 too. If you're reading this and wondering what all the fuss is about and there's still time, watching it will help to make sense of where I'm going. In the show, I spent quite a bit of time dissecting the writing of a journalist and author called Neil Sean. You might not know the name but you will have read something he's written. For years he's written a showbiz column in the Metro (although it appears to have ended at some point between the show being recorded and now) and he's been a correspondent for Sky TV here in the UK and for FOX in the States. He's not without influence or power. He's a critic. He offers his opinions on others constantly and, well... he's just not a very good writer and some of what he says appears to be a bit disingenuous, if not downright dishonest. The material about him was all about seeing patterns and inaccuracies in his work and pointing them out for what they are. 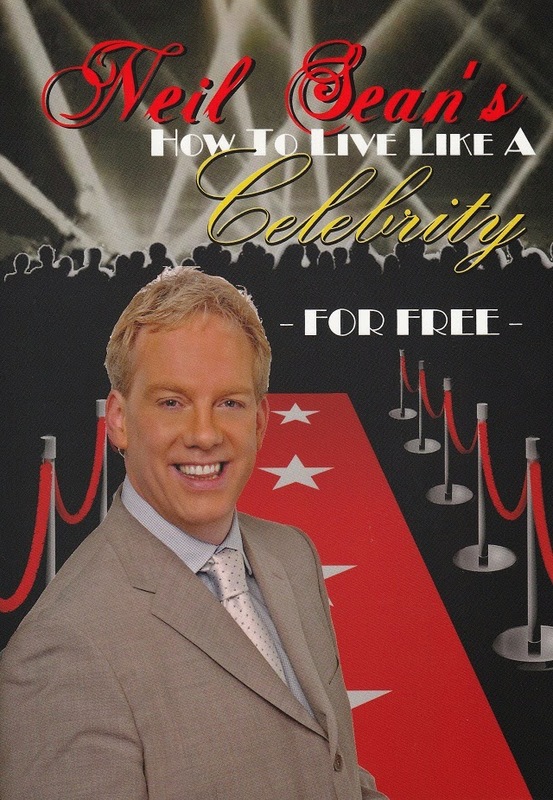 I won't repeat it all here, but he's written a book called "How To Live Like A Celebrity - For Free" and it's not hard to demonstrate that much of its content doesn't stack up. It's a risible piece of work. He didn't contain my @ so I didn't see it initially... but it didn't take long for a few people to reply and include me and bring it to my attention. I have no problem with Stephen's tweet, by the way, he's obviously worked with Neil, liked him and so felt sorry for a friend. That's a perfectly natural reaction. It sparked a little dialogue that, I think, covers an important topic... because Neil isn't always that nice about others. He tweets jokes about a singer's looks, for example. And worse. Meanwhile, perhaps prompted by Stephen Dixon's tweet, Neil Sean himself had decided to get involved. And, rather deliciously, his response contained the trait I was mocking him for in the show. I think 20 of the 50 dates had sold out already. Up until this point, I hadn't seen many people tweeting Neil Sean about the show's content. There'd been one or two. But not many. But after this tweet a lot of people got involved. Naturally I was interested in what they were saying so, using tweetdeck, I created a column that showed me every tweet that mentioned Neil Sean's twitter handle. Most of what he received was mocking him for the inaccuracy of the tweet or referring back to the way he often writes gossip about slebs who are smokers and so on. Some of it was abusive. I don't condone it. I saw the C word flying around. That makes me uncomfortable. The criticism of him in the show was done with a smile, after all. It was never abusive. It was factual. I certainly wouldn't describe it as a bashing. I'd say it was a ribbing. ... and that's a far more serious allegation. Like I say, I'd been monitoring the reaction on Tweetdeck so I'm pretty sure I hadn't missed anything. I hadn't seen a single reference to his sexuality. Or race for that matter. But I was naturally concerned that maybe I'd missed something. @neilsean1 @lgfoundation @LondonLGBTPride @AllOut I’d be upset if there was anything as you describe. I’ve not seen any. Examples? No reply came. And a bit of time passed. And slowly the tweet started to get under my skin. What would the casual reader think if they alighted on that tweet without any of the context? Without having seen the show? The suggestion that I've done or said things to encourage that kind of abuse is deeply unpleasant. And untrue. No reply came. No clarification. So I called Neil's place of work and asked to speak to him. I was put through. We had a perfectly friendly chat. I explained that I was calling to express my concern about the idea that he was receiving homophobic abuse. I also explained that I hadn't actually seen any. Neil told me that I wouldn't be able to see them because they had been sent as private messages. Which seemed odd. Because you can only receive private messages on Twitter from people that you've chosen to follow. And Neil was only following 33 people. It seemed unlikely that people he'd been following since before the show was broadcast had suddenly turned homophobic and abusive. I explained as much to him. And he blustered something along the lines of, "well I am getting them". We chatted for a while after that. It was all perfectly civil. I understand that he's upset at being criticised by me. I think that, given his line of work - and given that the criticism wasn't personal or abusive - he ought to be able to take it. I'm afraid, I can't conclude anything other than he's invented the homophobic abuse as a defence mechanism. If I'm wrong about that then he obviously has my sympathy. I would never condone such abuse and anyone who sends it has nothing to do with me. It certainly doesn't relate to anything said in the show. (I don't even think someone who watched the show would come away knowing anything about his sexuality either way.) I'm confident that if it did happen and it was sent in the form of direct messages then it certainly had nought to do with the show. And if it wasn't sent as direct messages, well, then why would he tell me it was? Odd. There isn't a lot of high ground to occupy when you've been that unsympathetic to Mary Beard. And there's simply no comparison in the level of abuse the two of them have been subjected to. 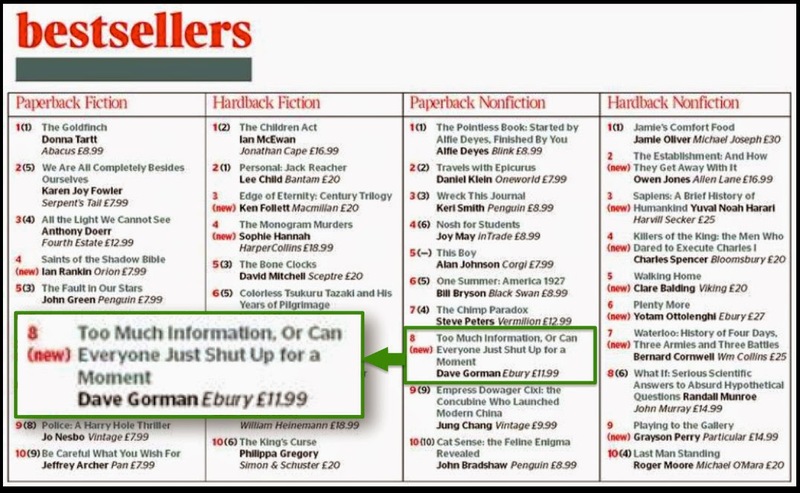 The tour previews are going well, the book seems to be doing just fine and the reaction to the series has blown me away. If you've been a part of one or more of the above; thanks. One thing that got a big reaction in episode three was the jigsaw. If you haven't seen that show you obviously won't know what I'm talking about and I don't want to go into too much detail because I don't want to spoil the show for those who are planning to watch it on Saturday night or on Dave On Demand or what have you. 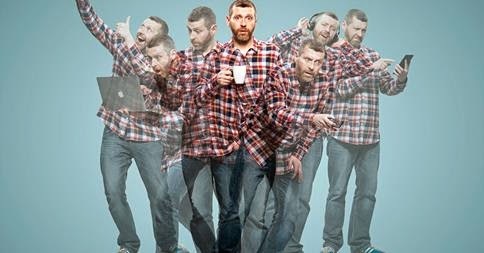 @DaveGorman is your jigsaw available to buy? My mum would love one for Christmas! 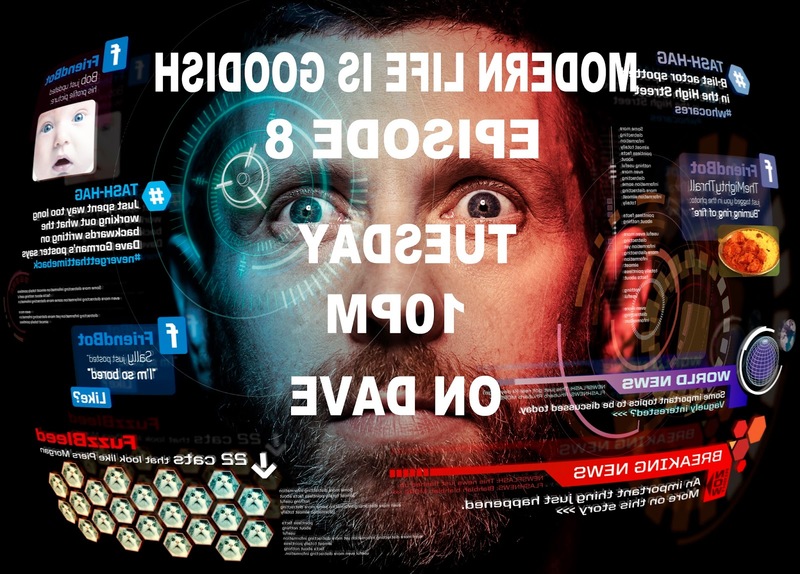 @DaveGorman I WANT TO TRY THAT JIGSAW! 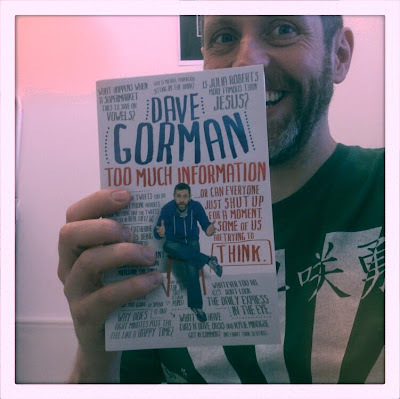 @DaveGorman will the jigsaw go on sale? Looks fun. But I have it and, as lots of people have expressed a desire to get hold of one, I thought it might be a good time to revive the competition. I'll email the mailing list on Tuesday with a question relating to that night's show. There'll be an email address for you to send an answer to. And a time to get it in by and, y'know, whatever else I can think of that makes it feel like a proper competition and then someone will win the, um, rude version of the special jigsaw. If you're the kind of person who would like to know what I'm up to without gambling on whether or not you see a particular tweet or an ad in the paper then you can sign up to the mailing list here. The tour is almost upon us and I'm delighted to say that the first few shows - and quite a few beyond them - have sold out already. The first couple of work-in-progress shows at New Greenham Arts a few days ago went well. Which is a relief. 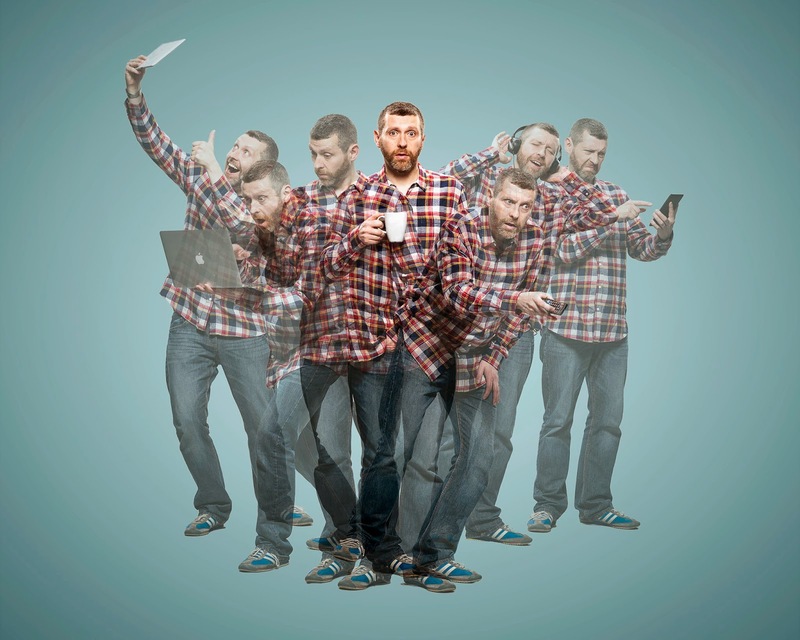 The first time you perform a new show, you have no real idea as to what you're dealing with. Will it need a complete re-write or will it just need a few nuts and bolts tightening? There's no way of knowing with any certainty until it's been put in front of an audience. Now that I've done so and discovered that it doesn't need a complete re-write, I can roll my sleeves up and get stuck in to the show. 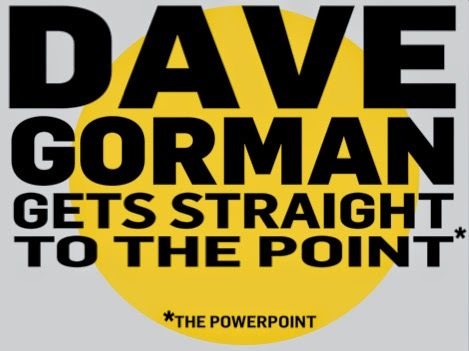 It's why I often do these work-in-progress shows in pairs - because it means I have a day without travel in which to tinker with the powerpoint... which currently stands at 629 slides. It's a time-consuming thing to tinker with. But in lots of ways this is the fun bit. TUESDAY DERBY Due to a fire in the venue, this show has been cancelled. We tried to reschedule, but it wasn't an option. 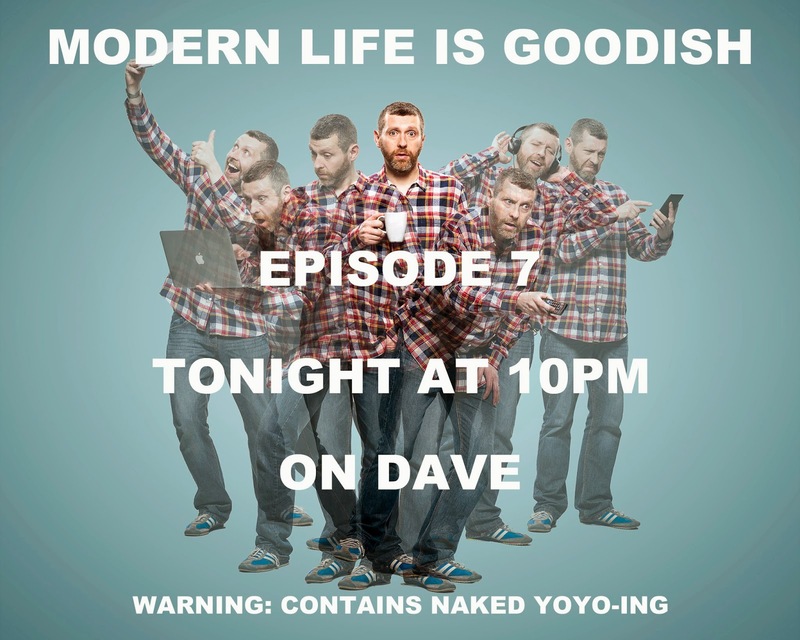 When I was first asked to make the series, Dave asked me for acutting-edge anecdotal documentary-slash-stand-up-hybrid so it's nice to see someone's seen what we were aiming for. Tonight. 10pm. On Dave. Or have I already said that? ... and so begins the busiest week of my year... September 4th is publication day. That's it. The new book is out. Officially. Today. Today is also the day that UKTV - the company that runs the channel Dave (as well as Watch, Really, Alibi, Gold etc etc) - launches their new slate of programmes. They do it with a big live event called, naturally enough, UKTV Live. I'll be there this morning doing a short piece to launch the series to members of the press and then in Battersea tonight to launch the book. Then there are a load of interviews to promote them both - oh, and the imminent tour, natch - oh, and a family wedding too. I'm looking forward to it all. I'm just not sure how it'll all fit into seven days. 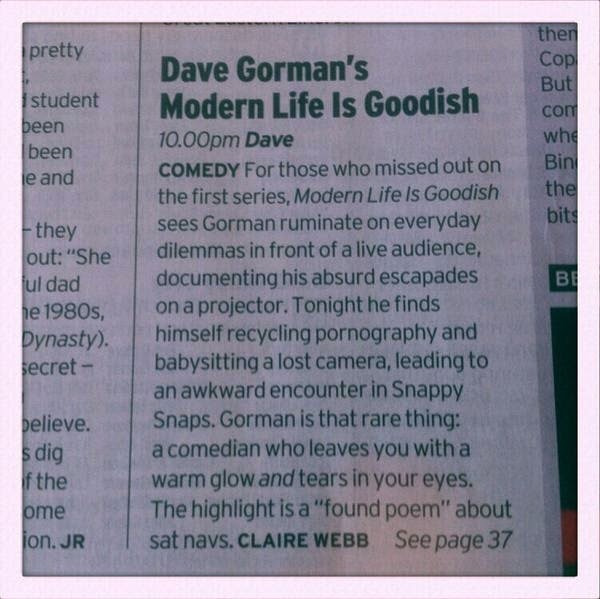 The first episode of Series 2 of Modern Life Is Goodish airs on Tuesday night. I'm looking forward to it actually being out there. Especially as the fools at Dave have decided to let me loose as a live continuity announcer that night. With so much going on in the world, if you want people to know you're going on tour, you need to be creative. People don't notice posters as they walk down the street. Their eyes flit straight past the ads you place in the papers at great expense. 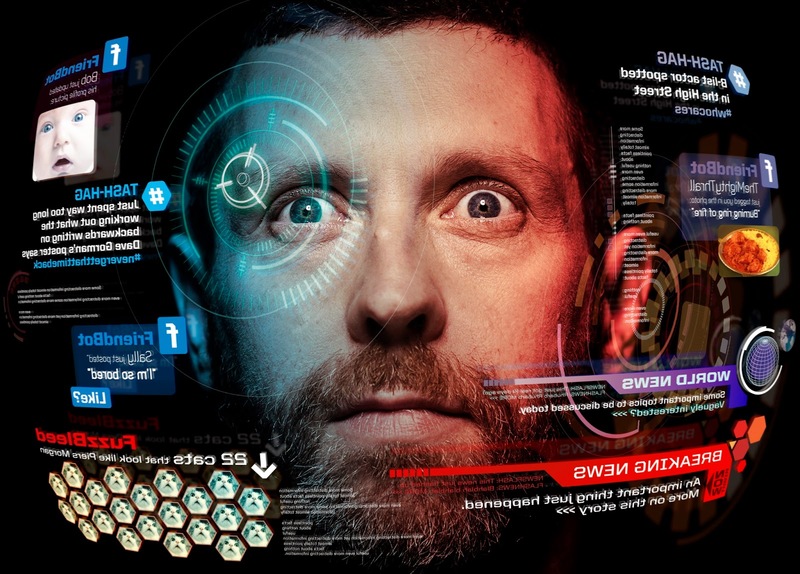 You need to find new ways of putting the information in front of them. 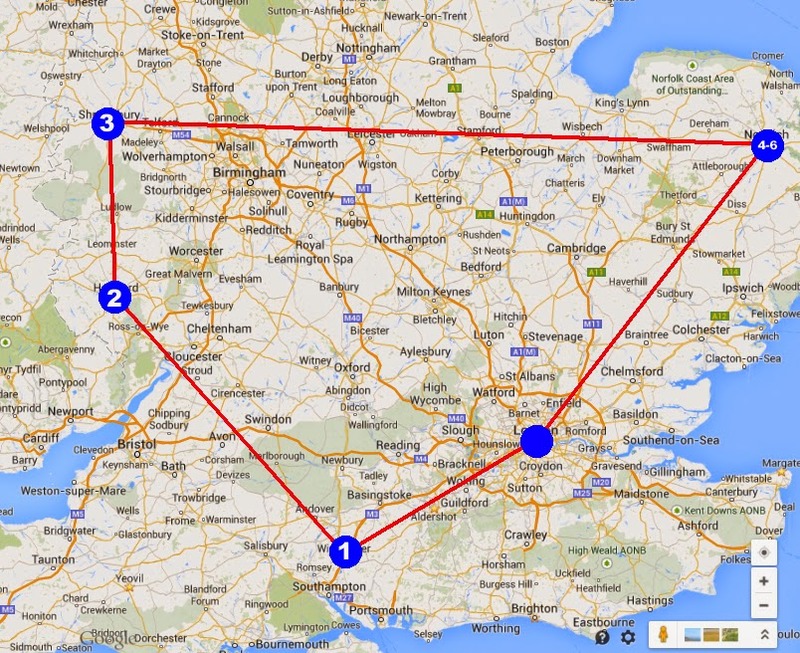 For this tour, I had a cunning plan. I put in a call to Kate Bush. "Kate," I said, "it's been a while since your last live gig hasn't it?" "Thirty five years," she replied. "Really! That long! Blimey. You should get back out there. Do some more." "Well, I've thought about it Dave," said Kate Bush, katebushily, "but I always get so bored before a show. I just don't know what to do with myself." "Oh, we all get that," I said, trying to jolly her into it. "Is it true that you have a dartboard that straps on to the back of a door?" she asked. "Yes," I said. I could hear her resistance breaking down. "And is it true that when you're on tour, you take it with you and play darts for an hour before the shows?" "Um... can I borrow it?" "Of course you can!" I said. "Do you want to borrow some darts as well?" "Don't be daft," she squeaked. "I've got my own arrers!" So that was part one of my plan accomplished. Persuade Kate Bush to go back to live performance. 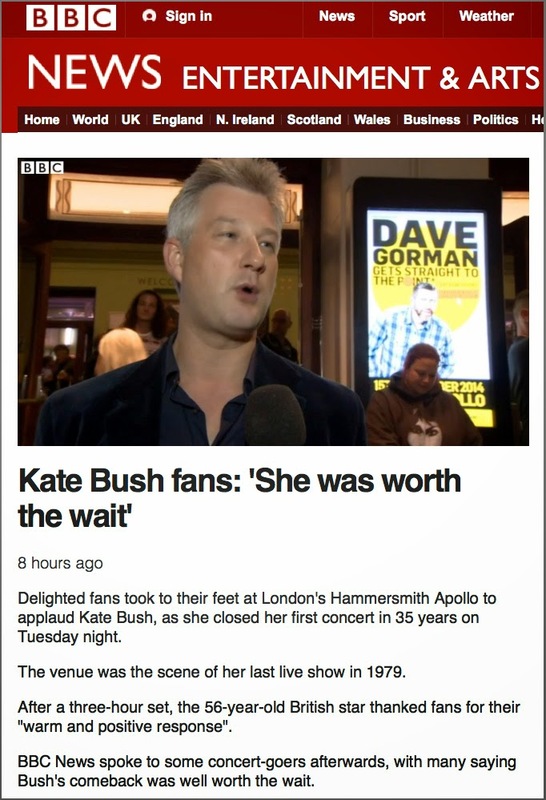 I knew she'd choose the Apollo in Hammersmith, the scene of her last gig in 1979. That was crucial. Because that's also one of the venues on my tour. And of course I knew there'd be a huge amount of attention given over to Kate Bush performing again. Her tickets would go in a flash. Her first night would be a huge event. The world would talk about little else for one day. There would be TV cameras outside the venue, interviewing punters before and after. I couldn't afford to buy that kind of exposure. Mission accomplished. Thanks Kate. I took a trip up to Edinburgh for the Book Festival on Friday - and my first book-reading for the new book. I'd forgotten how much I like doing book readings. It was great fun. I'm glad I had the opportunity to pop up to Edinburgh during the festival, however briefly. Some strings had to be pulled to make it happen, seeing as the book isn't actually published yet. If you bought a copy in Edinburgh... well, it's like you're time travelling when you read it. You're in the future. It's like it's September 4th, already. Imagine that! ... the phrase "pre-order" is lightly mocked at one point in the book (I'm pretty sure the word "order" covers it) but you can't fight the tide - so if you want to, um, pre-order it... you can do so here. Oh... and if you fancy it, you can come along to Battersea Arts Centre for the book launch event on the 4th September. As I wrote yesterday, it's been a bit complicated putting things together when three separate projects are all landing at about the same time. Which is why details on events have been confirmed at different times... and things have been making it here (and to my website) bit by bit. But I think I now have all the various elements in place. So here they are. And because there are four different types of event going on, I've tried to make it as clear as possible what's what. September 4th Book Launch Battersea Arts Centre A night to launch my new book. I'll be reading a few bits, explaining what it's all about and doing a Q&A. I love doing these events. The ticket price includes a copy of the book. Tickets. September 11th Book Signing York, Waterstones From 12.30, I'll be in Waterstones, York to sign books and have a chat. Come along. And have a chat. September 11th Book Reading Leeds, Waterstones I'll be reading a few bits from the book, explaining what it's all about and doing a Q&A. I love doing these events. Tickets. I sometimes get the impression that people expect my life to be more organised than it really is. Some people seem to imagine that in my profession there must be a scheming agent working out a series of five-year plans on my behalf. Or behind my back. The truth is that - like burglary - it's all much more opportunistic than that. With live work I have a degree of control. With everything else it depends on someone else giving me an opportunity. Offers come and go. You try to apply judgement as to what is and what isn't a good idea. And so on and so on. 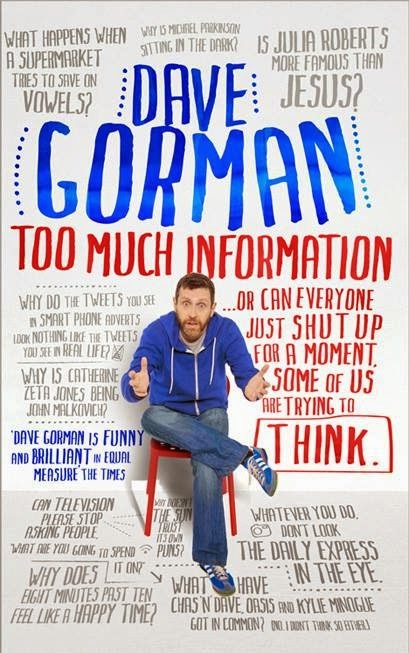 My new book comes out in September. 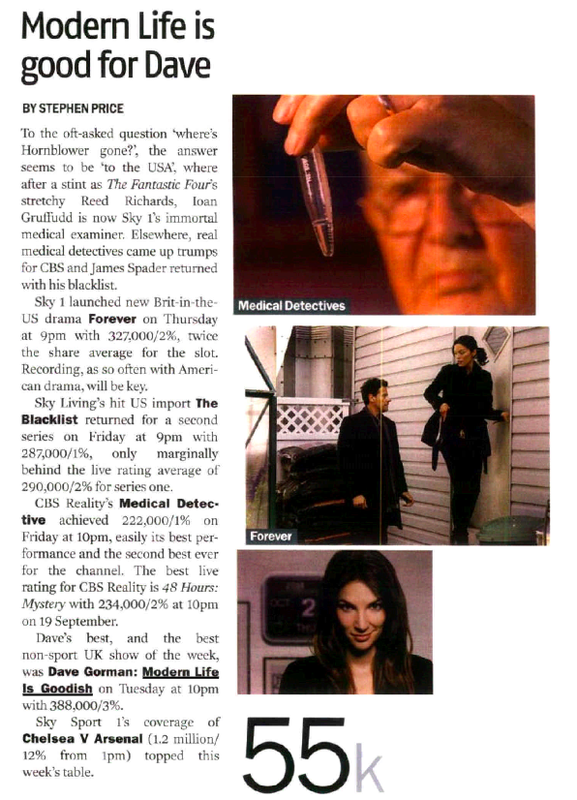 The new series starts in September too. And the tour kicks off at the start of October. That looks like some kind of masterplan is in place, where all the pieces slot together in some kind of perfect storm of mutually beneficial publicity. But it's not. It's a coincidence. I'd agreed to write the book before the first series was commissioned. I just couldn't start work on it until the series was done and dusted. And the tour was planned before the series had been recommissioned. It's force of circumstances that means they're all coming in to land at the same time, not masterful puppetry on the part of my controllers. In some ways it adds complications to things. The publishing company, the broadcaster and the promoter are all different entities. They all work on their project and it means things are hitting my diary in haphazard ways. I really like doing book-readings and normally, when I have a new book out, I try to do as many as possible. I'd normally do a dozen or more in the first couple of weeks. Because they're fun. 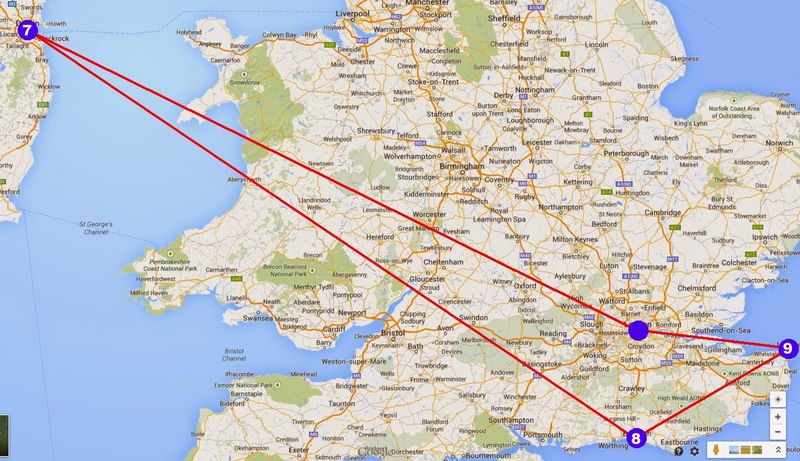 But this time round, because the tour is imminent there simply aren't that many free dates to play with. I'm going to be doing a pre-publication event at the Edinburgh Book Festival on August 22nd (although I think that one's sold out already). The official publication day is September 4th and I'll be doing a launch event that night at Battersea Arts Centre. (Tickets are £20, which includes a copy of the book). On September 10th I'll be heading to Newcastle for an event at Waterstones and on the 11th I'll be doing a lunchtime signing in York before an evening event in Leeds. The details for all three of those should be here. There'll be a few more tour warm-ups to announce soon. They'd all be announced at the same time if things were a bit more planned. Passing the baton... to myself. 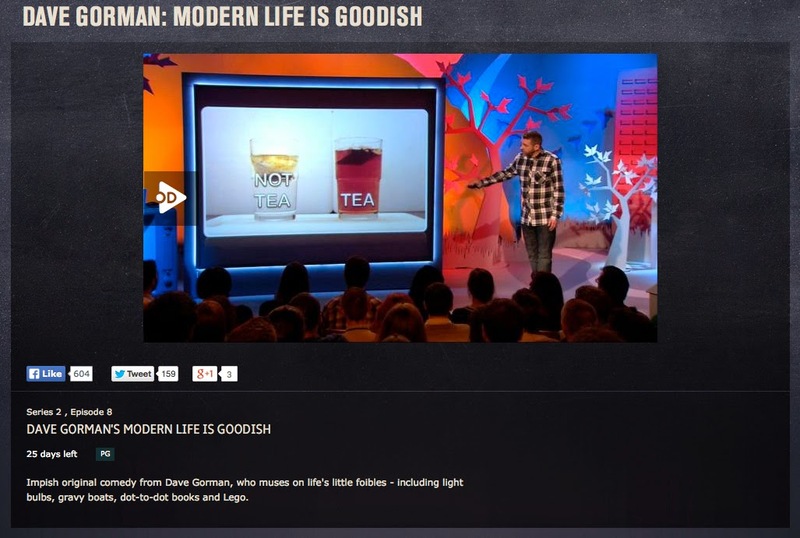 We finished taping the second series of Modern Life Is Goodish a week ago. I probably should have mentioned it before now. But it's been so all-consuming a project that I've sort of forgotten how to do everything else. It really was all-consuming. This was the first World Cup since I was a teenager that has passed me by completely. Didn't watch a single game. Got it all on my Sky+ box obviously so will be catching up with England's inevitable triumph soon. No spoilers. Of course, now that it's over it's time to look to the next challenge. 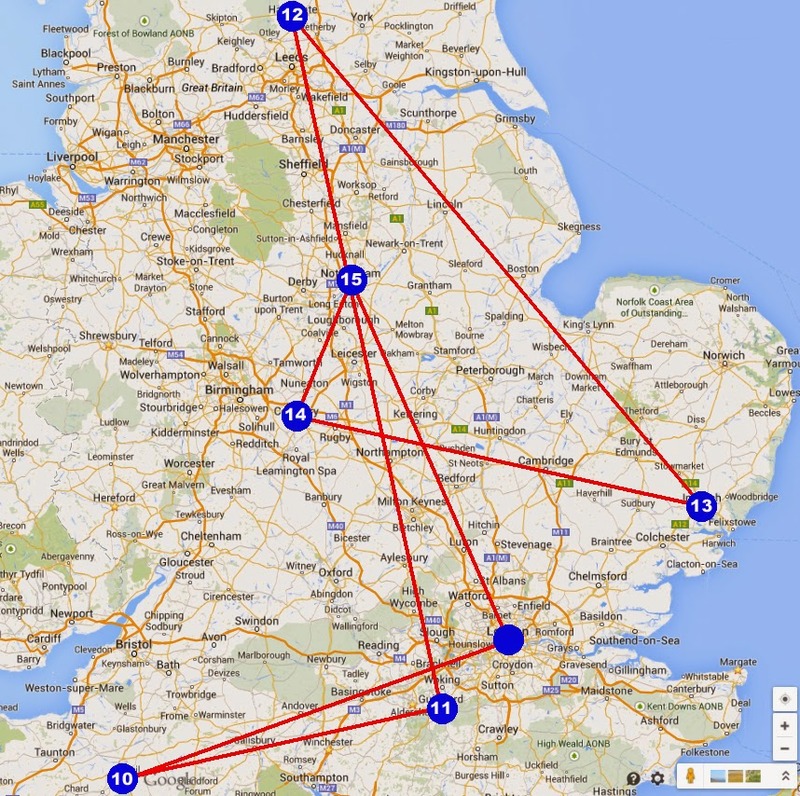 The tour. The tour kicks off in October, but as with the series, I don't want to sit around on my tod, second-guessing what will work best. I want to try stuff out. 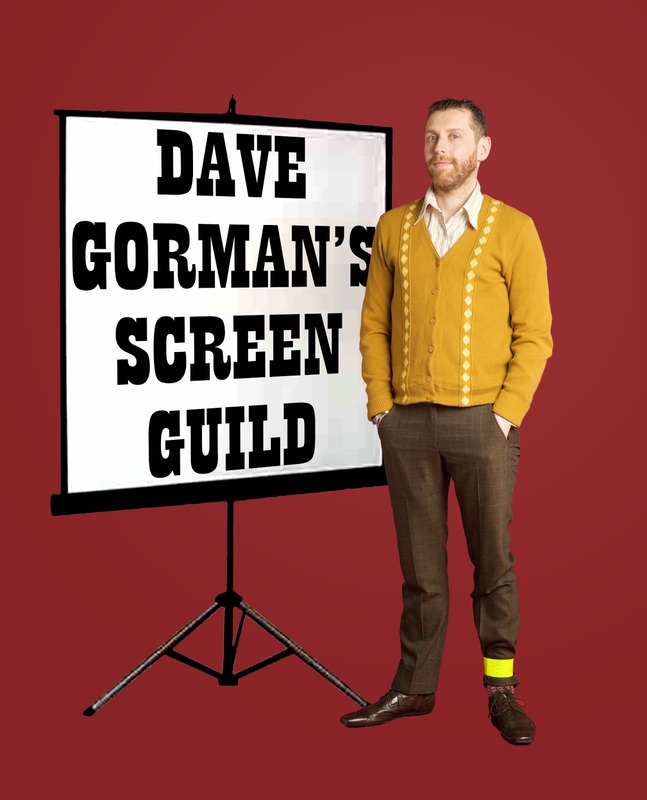 So I'm reviving the Screen Guild for two more shows. These are mixed bills of comedy that I curate and introduce. I only book great acts. That guarantees that the audience has a good time. And as I host the shows, I get to try out any new ideas I might have knocking around. As with the last season, the shows are at The Hackney Picture House (they have to be close to home as I can't make 800 powerpoint slides while on a train) and will be on August 20th and 28th. 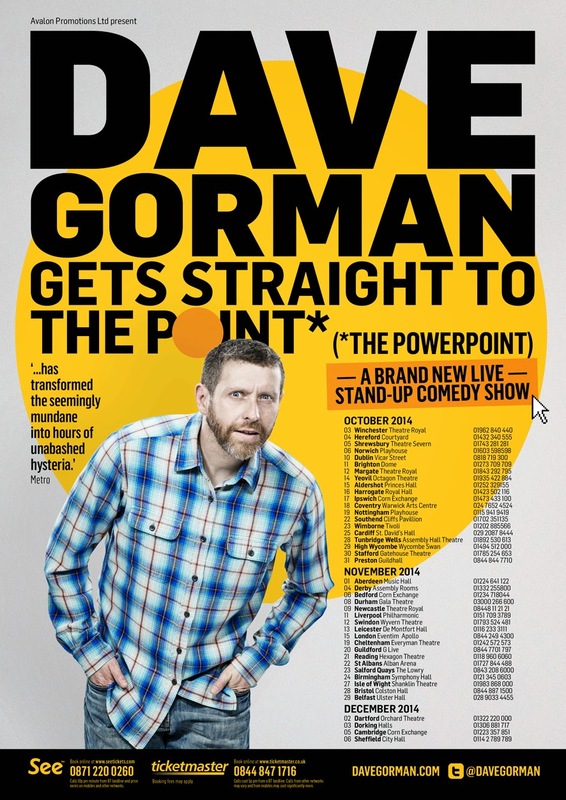 In September I'll start doing some one-man shows as tour warm-ups. The details of which aren't finalised yet - but I'll be letting my mailing list know some time at the end of this week or the start of the next. And I'll blog the details too.